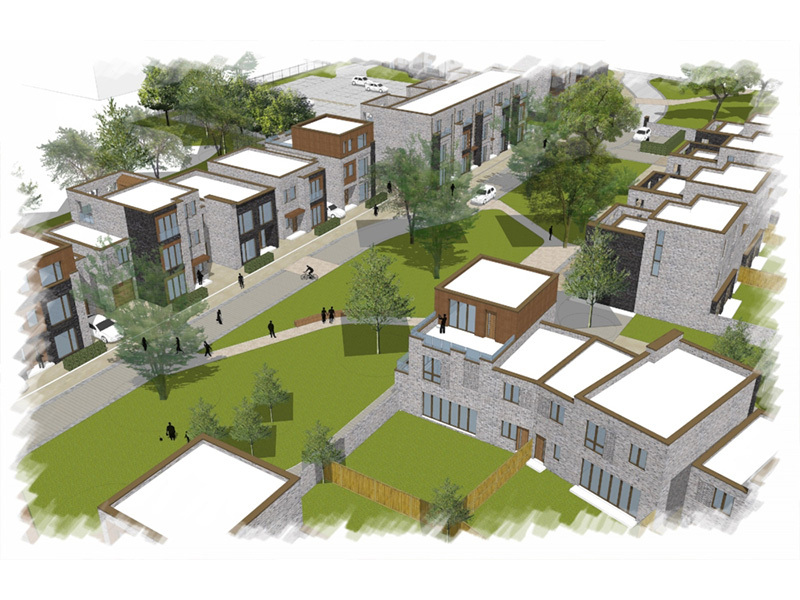 Designed by Calderpeel Architects, the plans are for 48 high quality contemporary town houses in a courtyard setting together with a landmark building providing 44 apartments. The apartments, a mix of one, two and three bedrooms, will all have large private balconies and in some cases resident’s will have access to roof terraces. The houses share a bold architectural style with the apartments and will be a mix of four and five bedroom family homes with gardens, roof terraces and generous modern interior spaces. PJ Livesey Director James Woodmansee, said: “We have been working closely with the City Council to meet its aspirations to create high quality new neighbourhoods in good locations, close to public transport. “Our scheme at Siemens will provide intelligently designed, high quality family housing and apartments to meet both local demand and attract and keep new residents in the City. “We saw the development as a real opportunity to follow a bolder, more contemporary design approach given the iconic Siemens building and also the aspirational purchasers that wish to live in West Didsbury. The much-needed new homes are part of a wider masterplan to create a vibrant, sustainable mixed use development on the site with partners Bruntwood delivering new offices aimed at life sciences, technology and professional services.